I was walking down the Naviglio area in Milano with a friend looking for a new place to have dinner. From across the street we saw this new restaurant that attracted us with its fresh and minimal decor, The Brisket. We went in and were greeted by a friendly and nice staff that brought us a welcome drink while we were looking through the menu. The food is all about meat, meat and more meat! 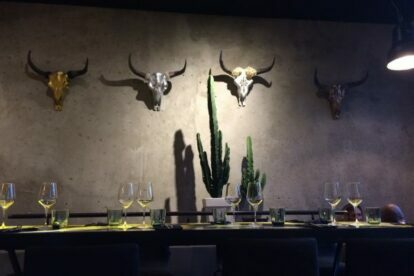 This restaurant is inspired by the Texas “slow and low” cooking meat philosophy. It is all about cooking the meat for hours at a low temperature so that it becomes tender. Of course if you come here you should try their specialty, the brisket! I don’t advise coming here if you are a vegetarian as the menu doesn’t have many alternatives apart from a corn side dish or salad. I had a great time and the atmosphere was very nice so if you like meat this place is a refreshing new option!